Soups are easy to make, you guys. I shamelessly make soups and stews just about every night. They take very little skill and they are so damn tasty. All you need are vegetables, tomato sauce, some seasonings, and some boiling action. 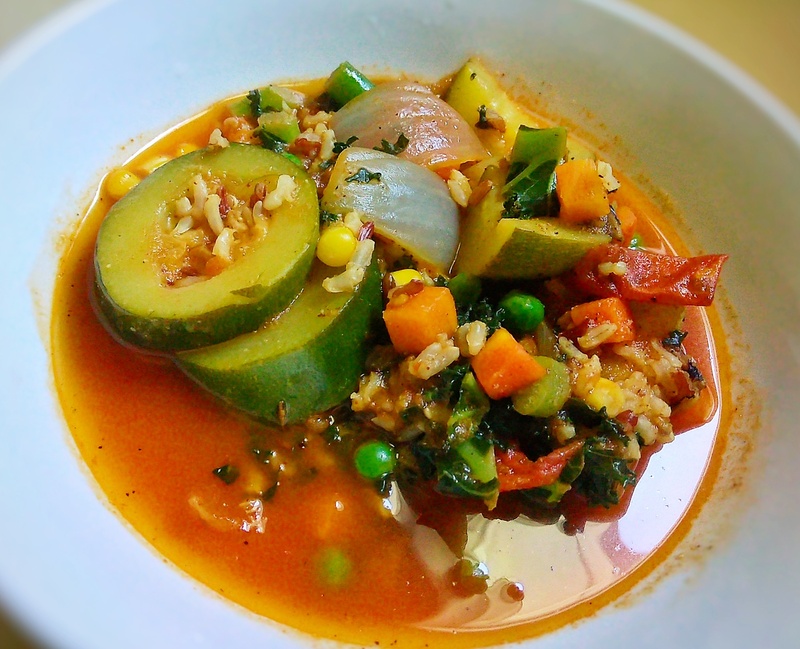 Here’s my very easy zucchini stew recipe! Add olive oil in a pot over medium-high heat. Add all of the vegetables and let it cook for about 10 minutes. Stir occasionally. Add a pinch of salt, pepper, garlic powder, and sazon (or any salt-based seasoning). Mix and cook for another 2 minutes. Add about 2 cups of water. Add 1 cup of tomato sauce. Lower heat and cook for 25 minutes, covered.